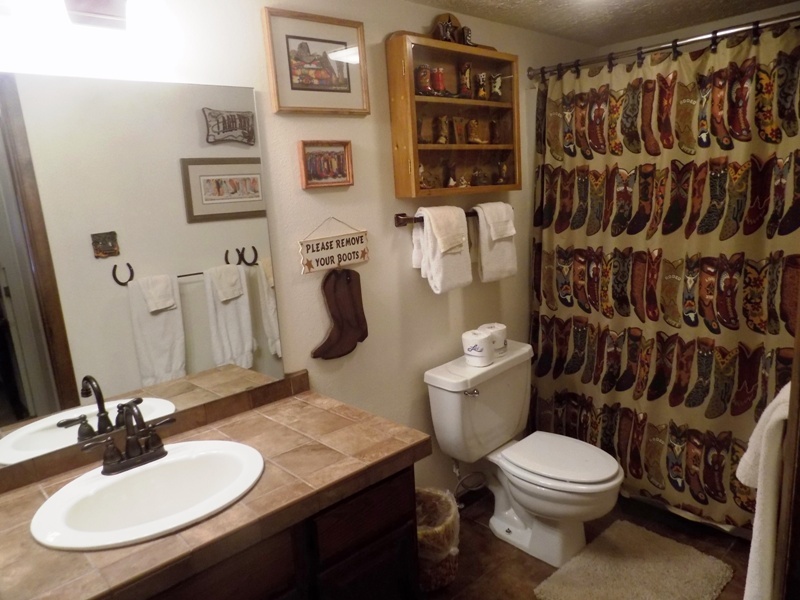 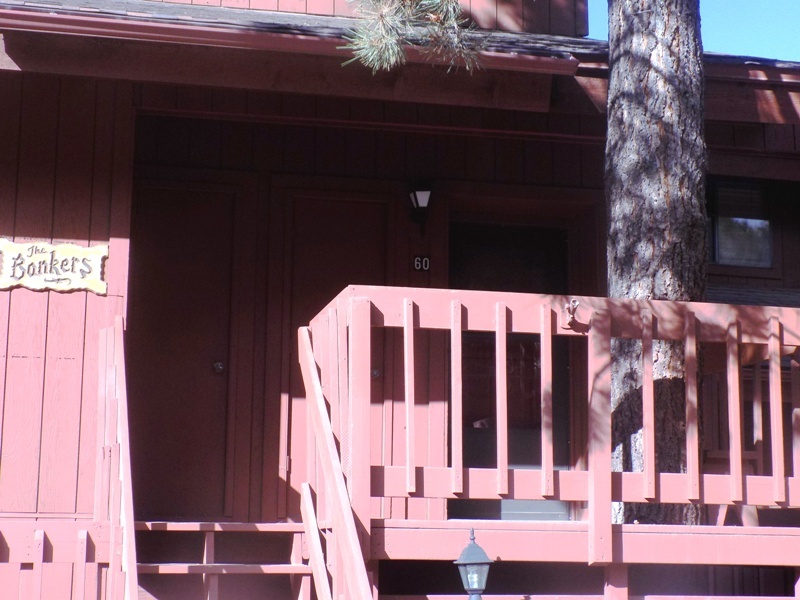 This beautifully decorated two bedroom/two bath condo is strategically located close to the Angel Fire Resort Ski-basin. 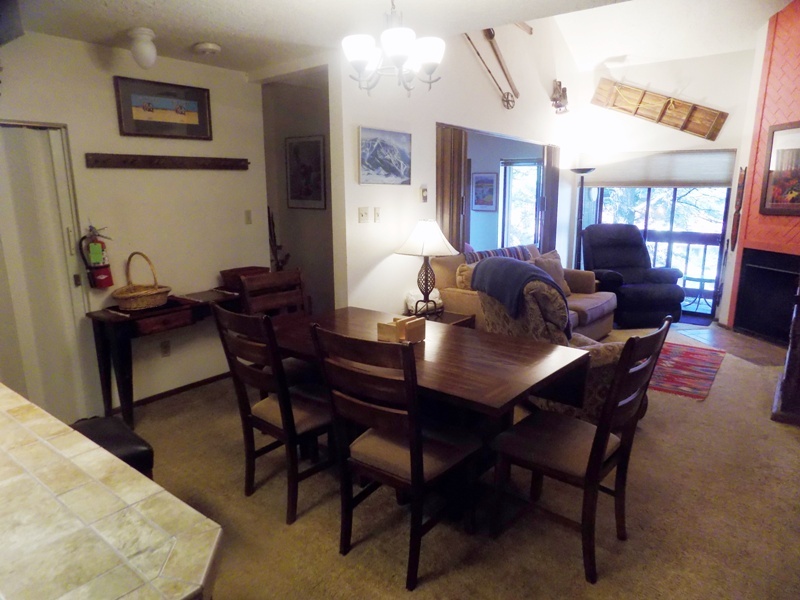 The two story floorplan is the perfect layout for a multiple family get-away. 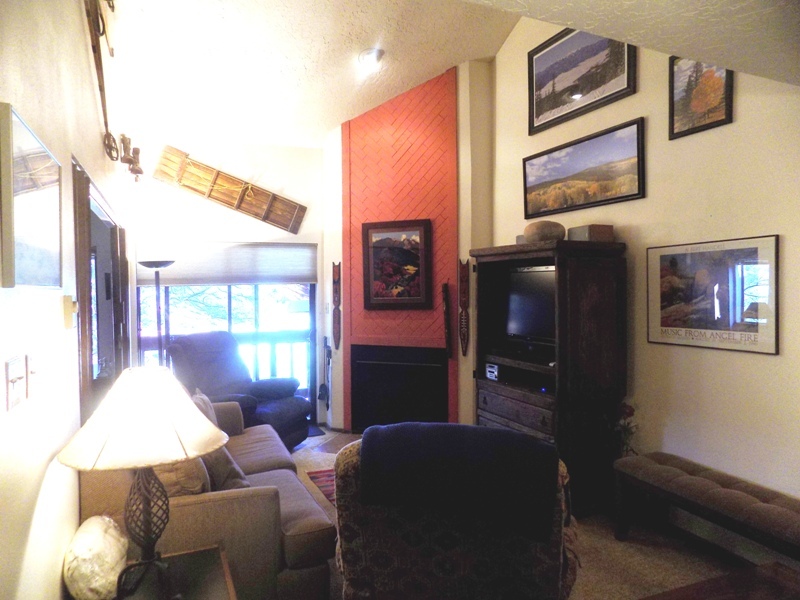 The main floor living area features a wood-burning fireplace, flat screen TV, and sleeper sofa. 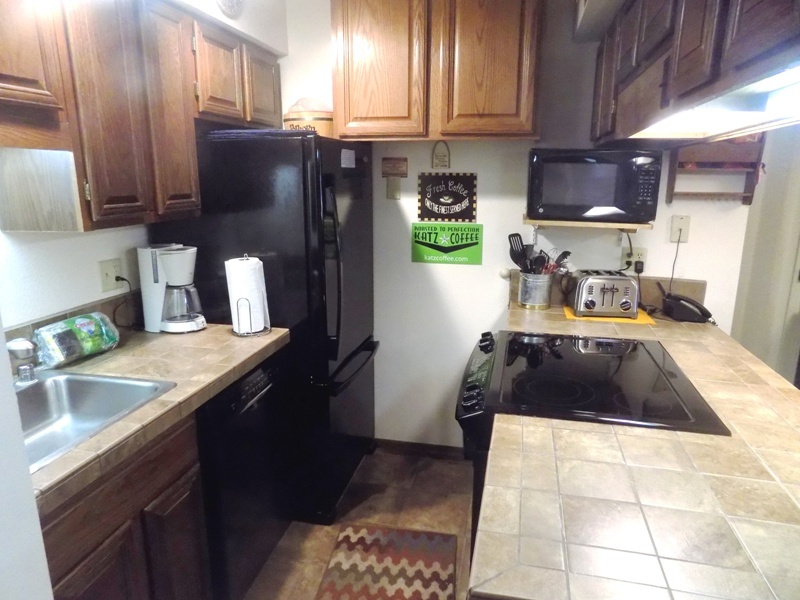 The kitchen is well appointed to meet all your culinary needs. 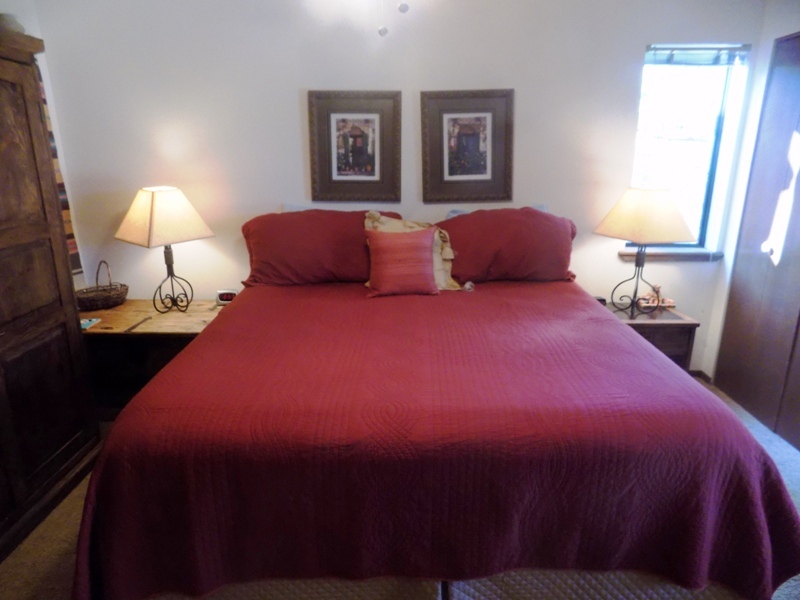 The master bedroom, located on the first floor, has king-sized bed. 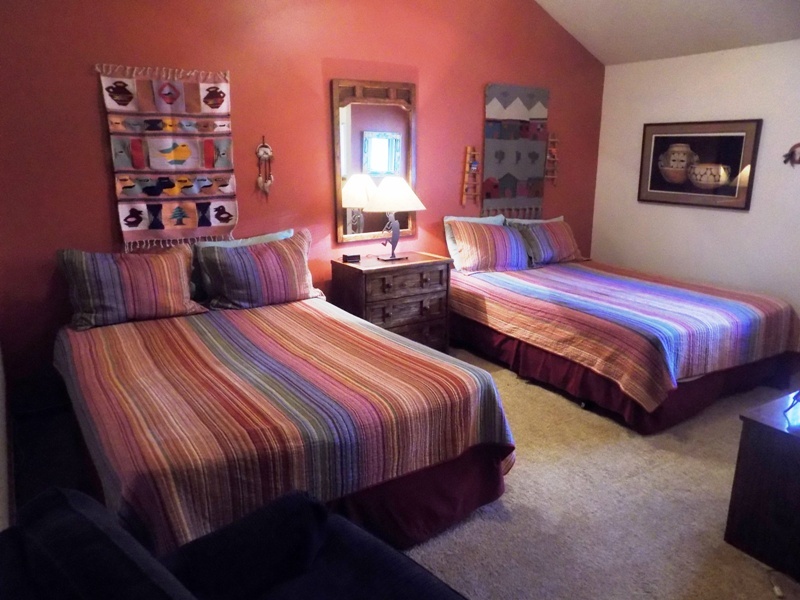 The second bedroom, located on the second floor, is equipped with two queen beds. 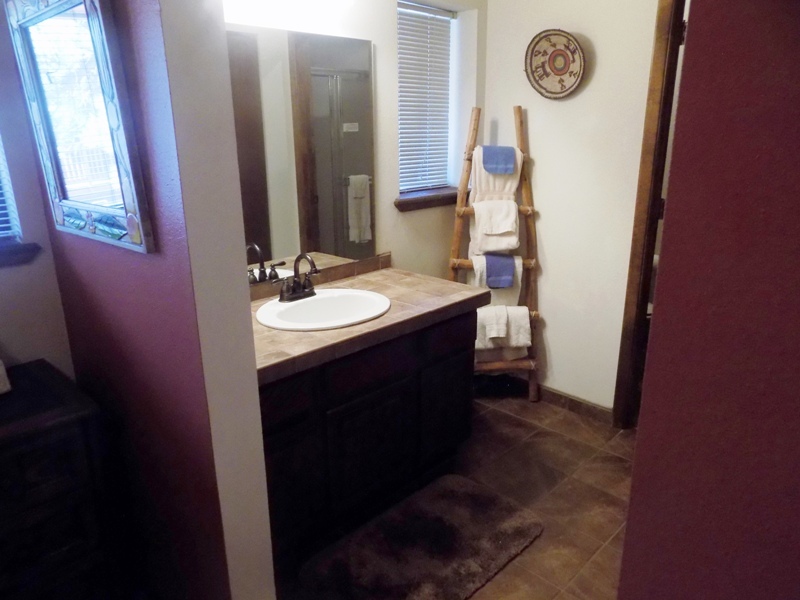 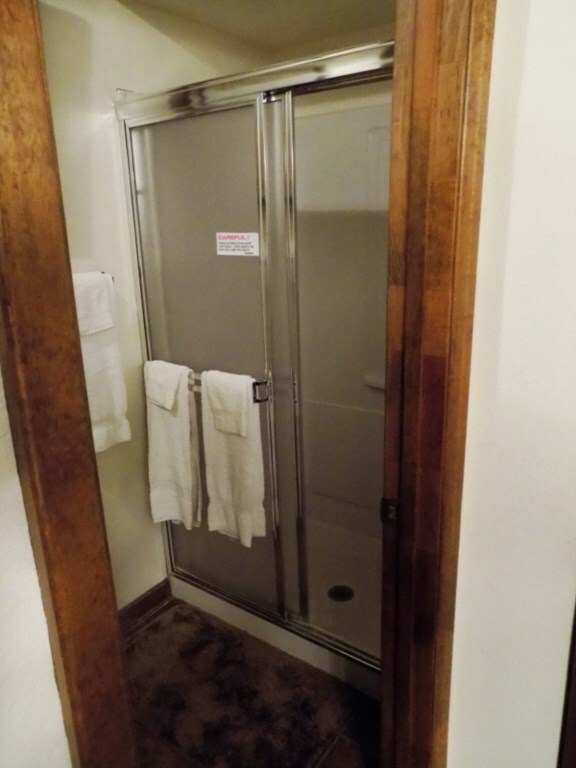 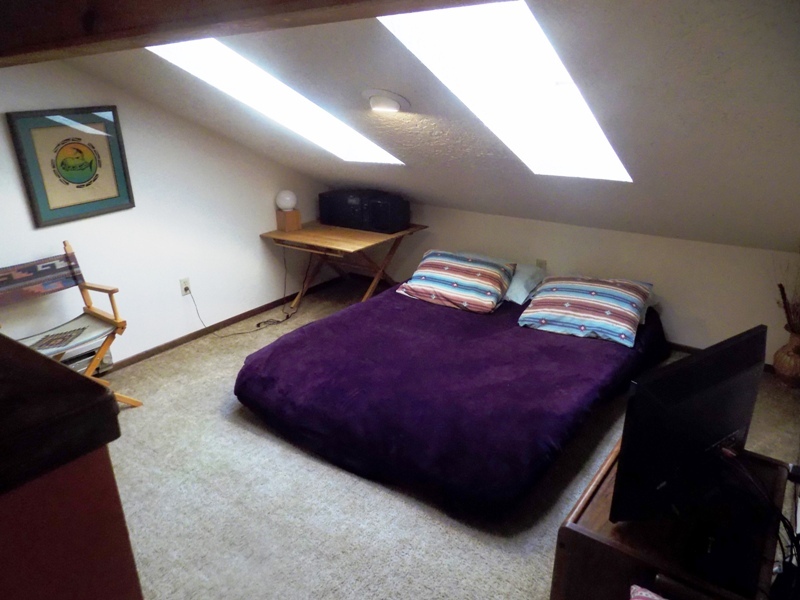 Also included: Wi-Fi, washer and dryer.